OUR UNIQUE MASKING PROCESS IS YOUR GUARANTEE OF NO MESS! Proudly serving San Fernando Valley, Conejo/ Simi Valley since 1970. Resulting in a job we can all be proud of. 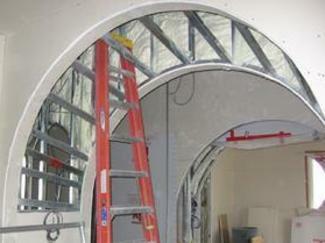 All materials are asbestos free and environmentally friendly. We wanted you to know that we are so pleased with the work you did at our home last Tuesday. You and your men did such an excellent job and were very clean and neat. We are very impressed with the excellent way your business is run and these days it's often hard to find reliable people to work in your home. 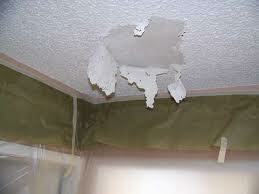 Wish to express my satifaction with work performed regarding restoration of acoustic ceilings throughout my house. I was impressed with the professionalism and workmanship of you and your crew. Will readily recommend your company to my acquaintances and expect to use your services on furture projects. 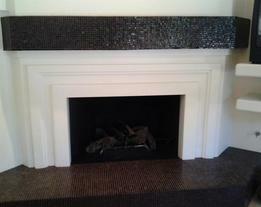 Jim Daniels uses the highest quality materials and guarantees all materials to be used free of defects. Materials are guaranteed to adhere to the surfaces being applied. We mask rooms to be removed from ceiling level down walls, over furniture and flooring- virtually creating a plastic bubble for us to work inside guaranteed no mess! 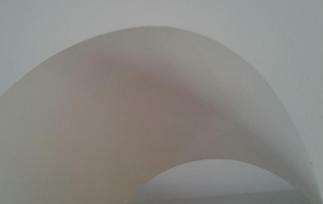 wet acoustic, remove, apply a smooth or textured finish. 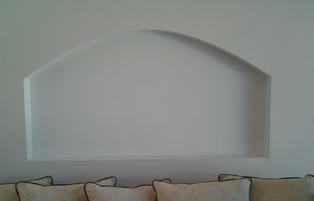 expert drywall repairs and complete home drywall hanging, taping, smooth or textured finishes. 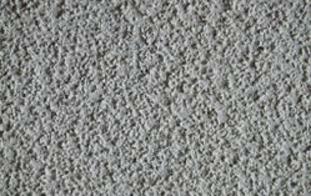 We fully mask rooms, repair ceilings, apply sealer coat (eliminates any staining), apply new coat of acoustic ceilings. For your protection we offer asbestos testing. We will take a small sample of acoustic to be removed to an asbestos accredited lab for testing.